Fundraiser for Thomas Saunders by Fire Family : FDNY Family Fights Cancer "#Team Saunders18"
FDNY Family Fights Cancer "#Team Saunders18"
Cancer can put your entire life on hold. Please let's take time to help one of Long Islands most Fun Loving community oriented families. Their fight began this Thanksgiving when the family was given the "unthinkable" news that their wonderful mother Debbie was diagnosed with advanced Metastatic Stage 4 Lung cancer. We refuse to believe this ill- fated prognosis! 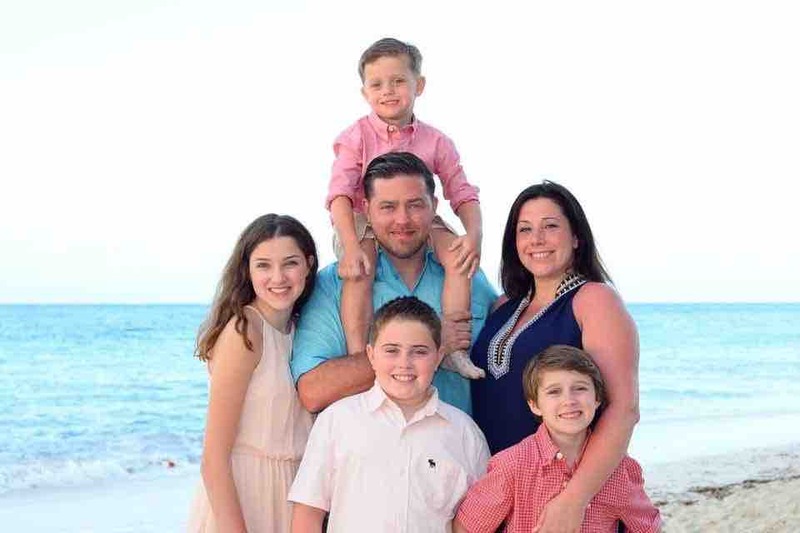 Our goal is to help Debbie and this amazing family focus on Life as they battle this disease together without financial worries like added childcare, mortgage and increasing debt from treatment of this deadly disease. Debbie, an all American woman , "#Super Mom" and a teachers assistant is the loving wife of New York City Fire Fighter Thomas Saunders, a 16yr member of the FDNY. They have 4 young children together ranging in ages from 5 to 15 and reside in Holbrook Long Island. Please join " #TeamSaunders18" to help achieve the goal of easing Financial Burdens during this difficult time.